Designed specifically for the purely lumber motion performed in a properly executed reverse crunch. When properly placed (and proper execution and control are used to eliminate shoulder motion) this pad can be ideal for very advanced clients. 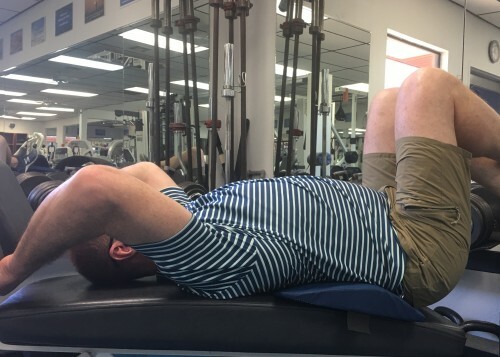 Surprisingly, it has also been found to work well for people with a great deal of lumbar extension but limited flexion as a flat surface allows them zero motion opportunity without cheating via the shoulder girdle. 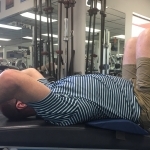 WARNINGS: Please review/learn the objective differences between crunches and reverse crunches relative to spinal motion and forces! 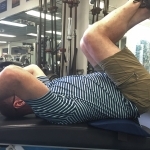 Properly performed reverse crunches are NOT a linear progression from crunches! 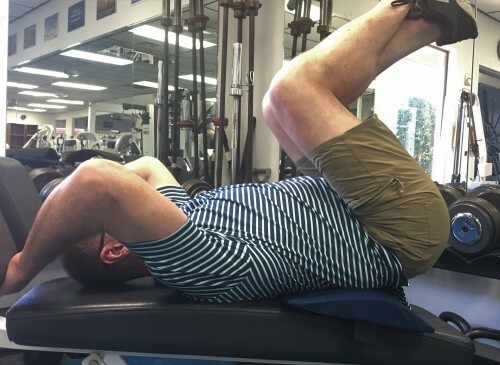 Many clients and virtually all patients will never tolerate reverse crunches.